Patricia Cué completed her graphic design studies at the Universidad Iberoamericana in Mexico and at the Basel School of Design in Switzerland. Through her work, she explores the ways in which design defines the cultural identity of public spaces and is inspired by the tradition, colors, and textures in vernacular forms of design. Her work has been featured in Visible Language, Voice AIGA Cross-Cultural Design, Fahrenheit Contemporary Art, TM Typographische Monatsblätter, and more recently in the TV documentary series Sensacional de Diseño Mexicano produced and broadcasted by Once TV Mexico. 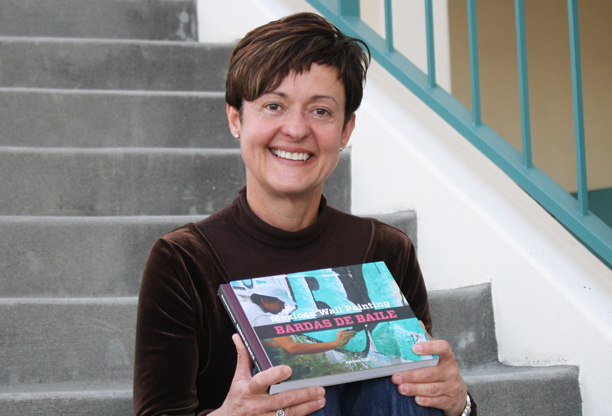 Her book Mexican Wall Painting: Bardas de Baile was published in August 2013 by Ghost & Company.